The write up I promised yesterday - then on to making my motif for today. The star is pretty easy. 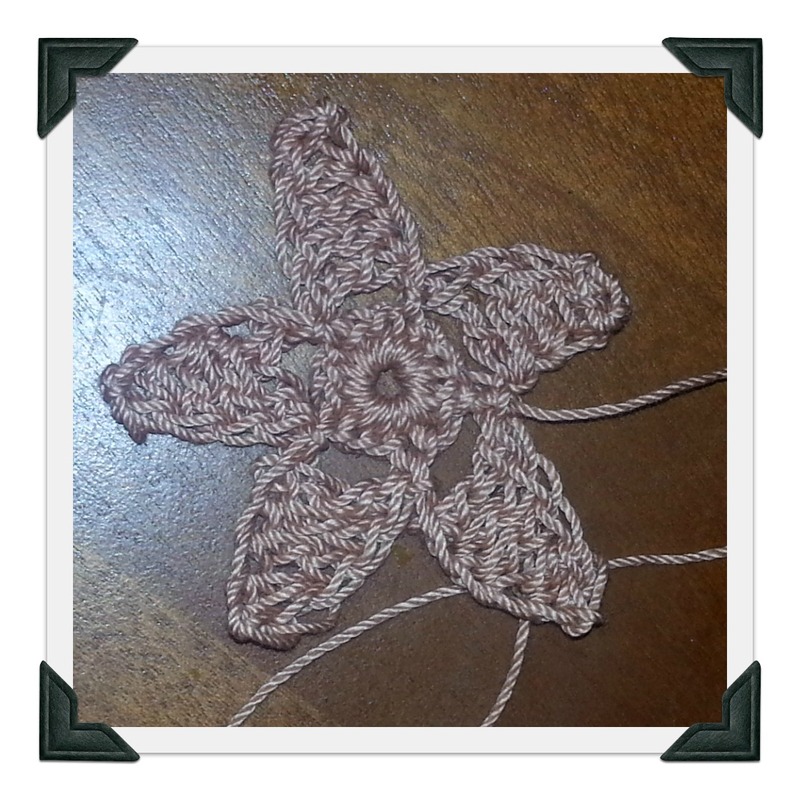 I've made several for our Christmas Tree and I've used it as a starfish before too. skip two stitches on circle and slip stitch in 3rd stitch. Do this 4 more times and you'll have a 5 pointed star. Each point uses 3 of the stitches on the circle, so you could easily increase it to 6 points or more by just increasing the number of sc you start with.